Are you searching for fresh seafood products? Looking for stores who specialise in offering good quality fish and shellfish to consumers in Croydon? How do you make an informed choice about which supplier to use? All you need to do is learn these few useful tips for buying fresh products from a reliable supplier. When it comes to buying seafood products, choosing the right shop can make a big difference. But, with the availability of fresh seafood suppliers increasing, selecting the right one can be a bit daunting. Especially when you are looking for the best in fresh, local seafood. 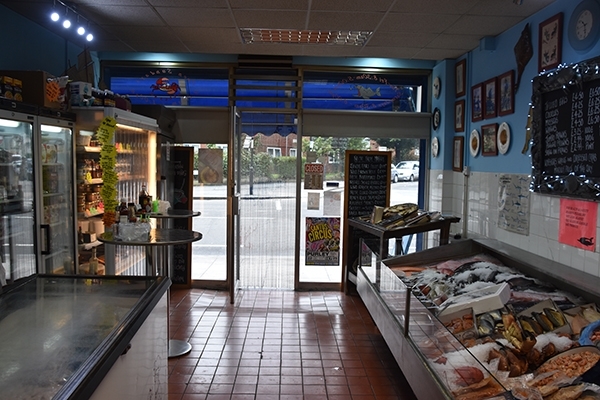 Ensure that you look for a quality fish shop in Croydon which offers a wide range of fresh seafood products. Wondering how to choose the right store? Read on. Look for seafood sellers who have a proven record of offering quality products. If you’re not familiar with leading seafood sellers, consider doing a thorough research online. You can even ask around or get recommendations from friends and family. This will soon give you names of stores you can rely on. Ensure that the seller you are choosing has an enviable reputation for offering quality seafood. While choosing seafood products in Croydon, another vital consideration is the packaging of a product. It tells a lot about its quality. If you are buying frozen food, ensure that the fish looks as good and fresh as it would if it was not frozen. This means that the packaging should be free of holes and tears. While choosing seafood, you should pay attention to assess the quality of the food. Look out for danger signs which indicate that the fish is of inferior quality. Some warning signs which you should be on the lookout for are – unpleasant smells, discolouration, drying, etc. There are certain certifications and labels which indicate good quality seafood. Look for a reputed seller who clearly states the details of the product on the label. This way you can be assured that the fishmongers source products from reliable places and endeavour to offer their customers the best. Approach a reputed fish sellers in Croydon like Prawnbrokers and bring home the highest quality seafood products!